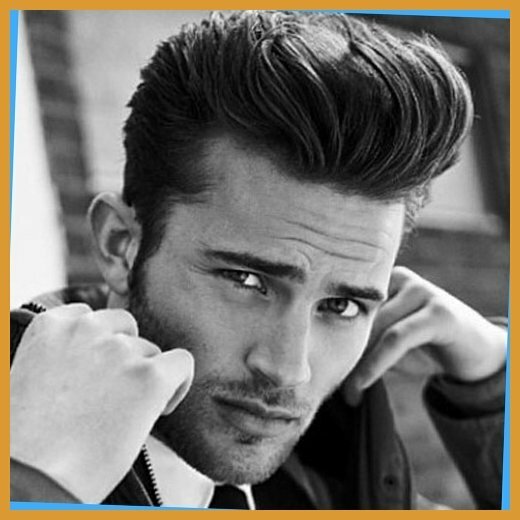 Here, Pouted offers 10 of the best hairstyles for men with oval faces. It is the haircut that leaves little peach fuzz on your scalp. 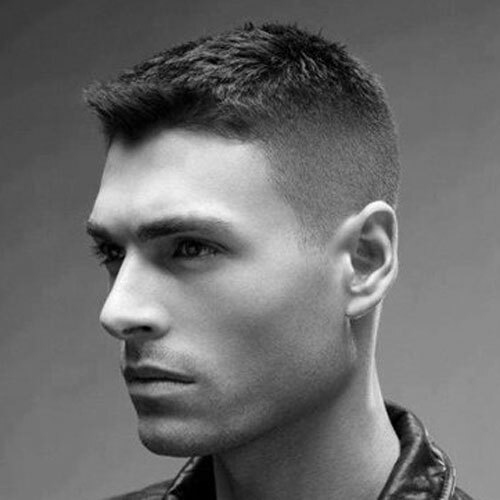 It was sometimes known as the military cut. Actually, new recruits had the buzz cut as the military coveted that their soldiers would have a uniform when it comes to appearance. The buzz cut does not wipe out your hair completely. However, as mentioned before, it leaves your scalp with little peach fuzz. 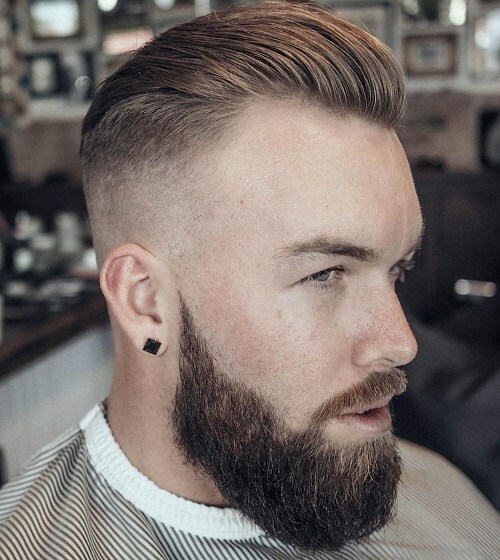 At their one point of their crazy fame and career, male fashion icons: David Beckham, Brad Pitt, and Justin Timberlake have once flaunted such haircut. 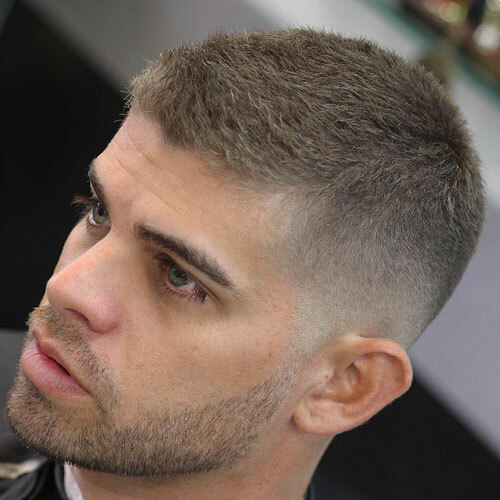 The crew cut hairstyle is marked with two short, fading sides with a relatively longer top. Its name originates back to the crew team at US ivy league colleges such as Harvard, Yale and Princeton. Sportsmen tended to be given such hair cut so their long locks would not disturb them while runny on the pitch and playing the game. Interestingly, the relatively longer top can be spiked or slicked. Such hairstyle was nailed by Zac Efron. 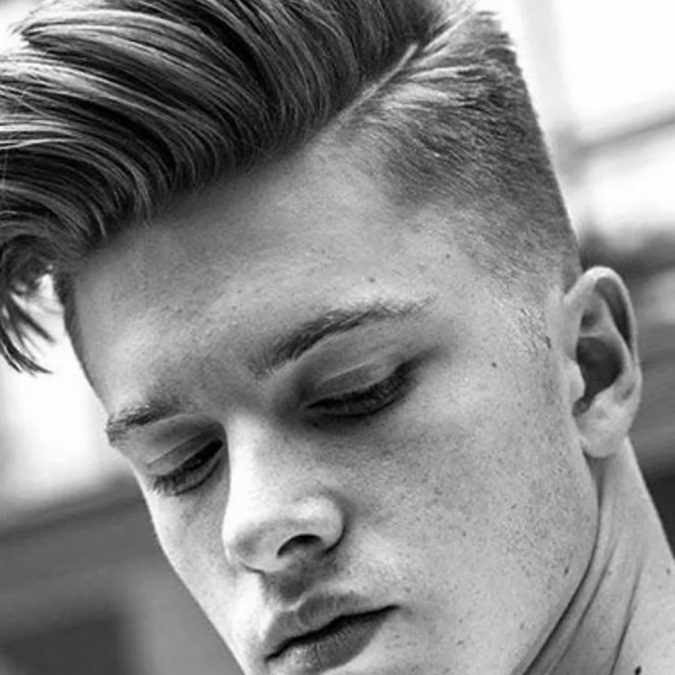 Practically, the pompadour has been ubiquitous for the last few years and even now. Some men think it emerged at the drop of a hat in the second decade of the 21st century. However, we should get back to the ’70s when Elvis Presley nailed the pompadour. 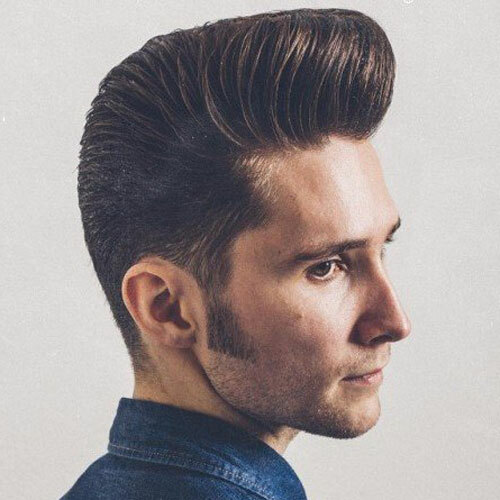 It is essential to mention that the pompadour hairstyle was nailed by John Travolta in the ’80s and Justin Bieber nowadays. 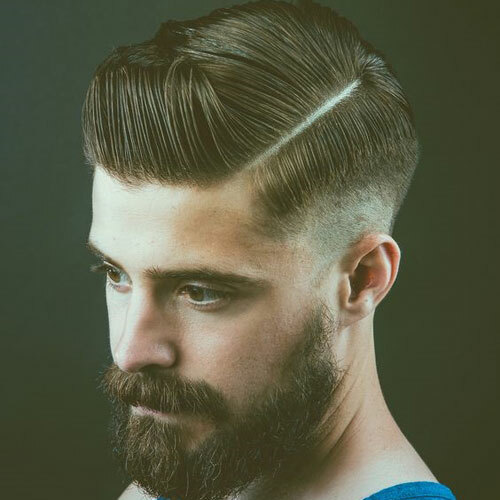 There are different styles of the same pompadour such as fringed Pompadour, Mohawk style, pompadour hairstyle with slicked back. 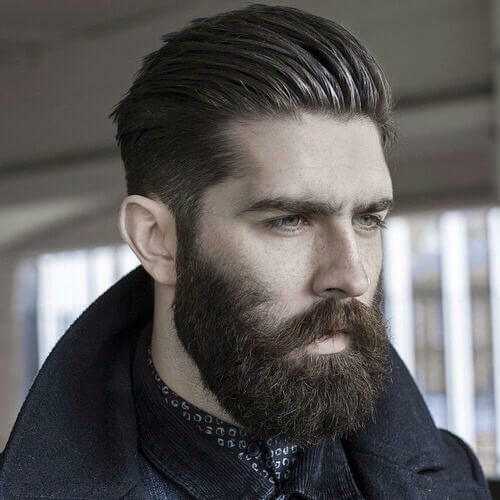 All a dude has to do is to opt for the hairstyle that suits his hair length and facial features. The Side part is easily done; it does not require much work and effort. 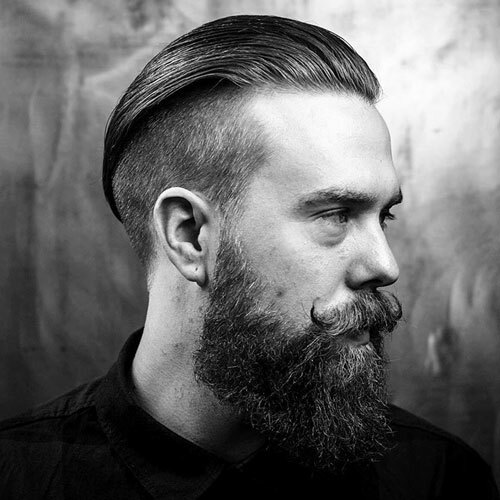 All you have to do is to cut and trim your hair in a classic and long-established manner. 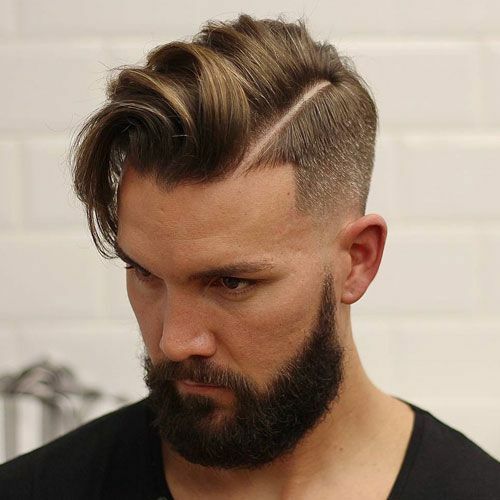 Your attempts to have such a haircut will pay off as soon as you find that the look surrounds you with an aura of seriousness and coolness at the same time. 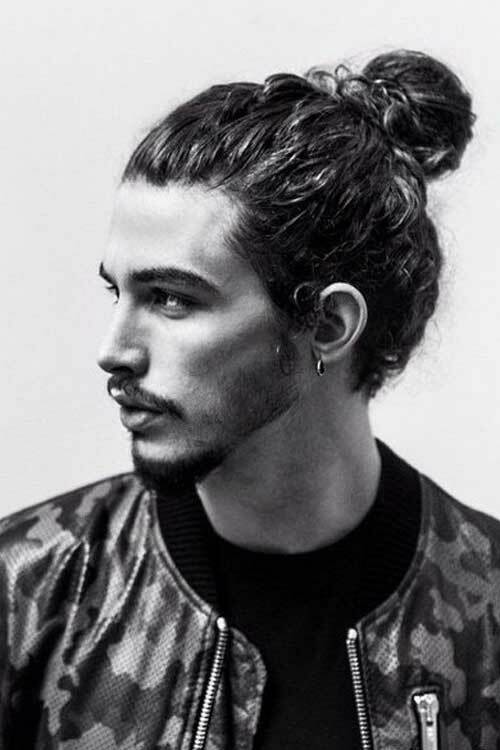 It stood the test of time and proved that guys will never give up on this everlasting hairstyle and will always opt for it. It suits white-collar jobs and formal ceremonies as well as casual outings. The fringe haircuts are cherry pie; there are no heaps of procedures to undergo. All you have to do is to let your front locks crown your forehead. 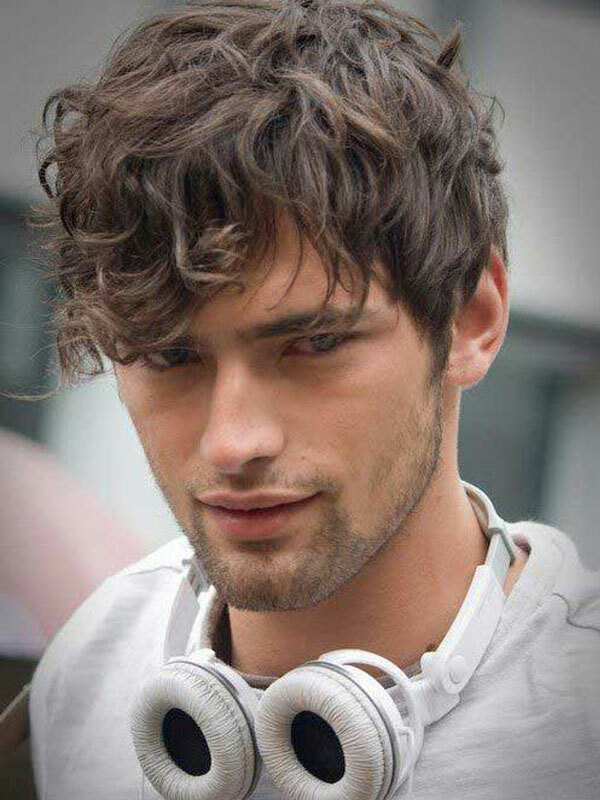 During the ’80s and ’90s, the Fringe hairstyle was correlated with chick-flicks, teen movies, and the stereotype ride lasted till the 2000s when guys with fringes were recognized as emos and were put in this category where they were bound to be surrounded by dark shadows. However, the Fringe hairstyle managed to free itself from stereotypical molds and was given to a heap of male hot celebrities as Zac Efron and Chris Pine. 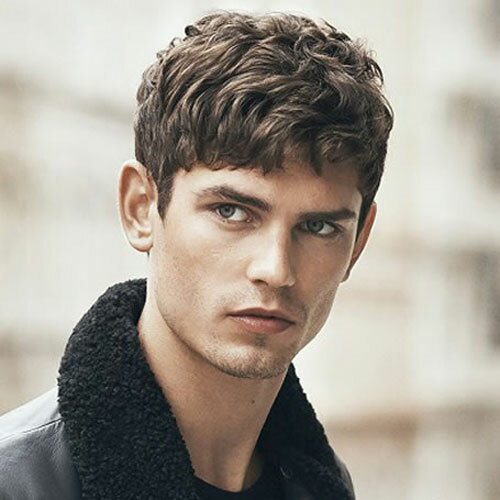 However, some people do not think that fringes would be the perfect option for men with oval faces, but we have seen multiple male celebrities and models nailed the bands. We would rather call it the funky haircut. 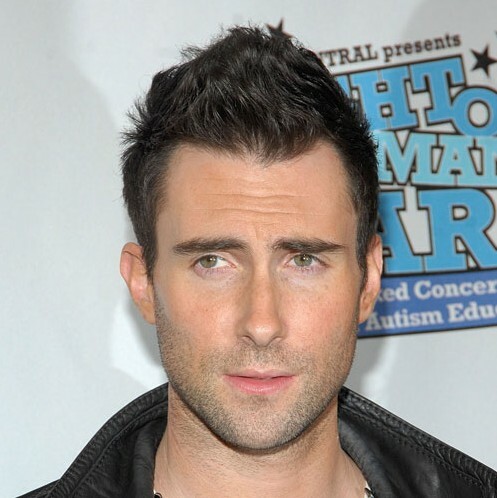 It seems like popular people opt for faux hawk hairstyle to boost their renown. All you have to do is to keep your both sides fading; however, leave a crest on top. Practically, you can form the top using your fingers to spike the crest or to comb the ridges towards the center. The haircut is quite easy to carry out at home. However, sometimes it demands a level of professionalism if the crest is spiked. The fading sides show intensify the power of the crest whether it is fringe or spiked. 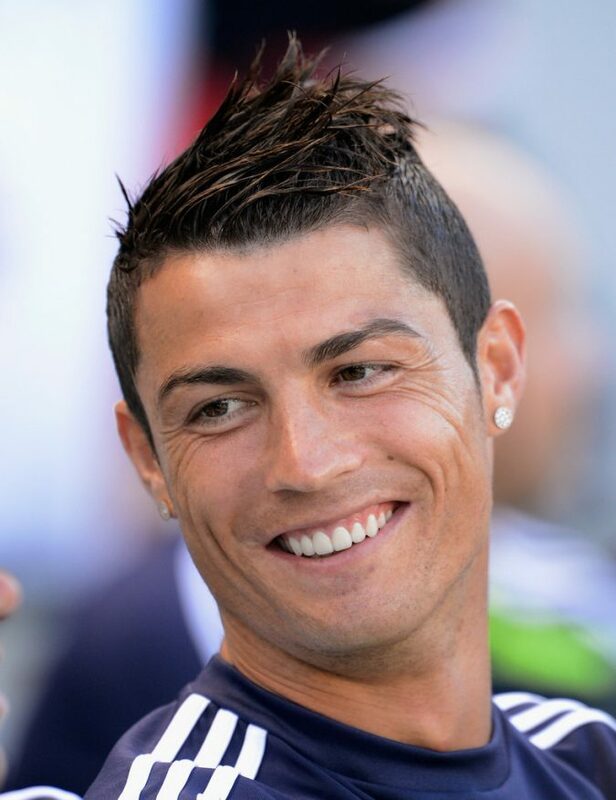 Portuguese professional football Christiano Ronaldo effortlessly nailed such haircut. 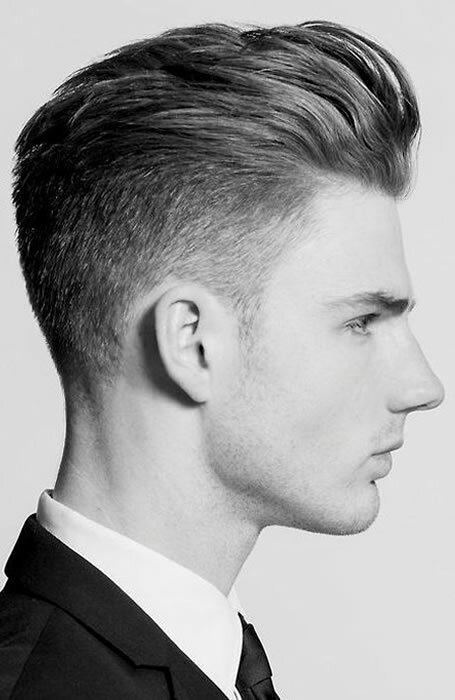 If the top of your hair is from 2 to 4 inches long, you will not suffer if you want to nail the brushed-up hairstyle. 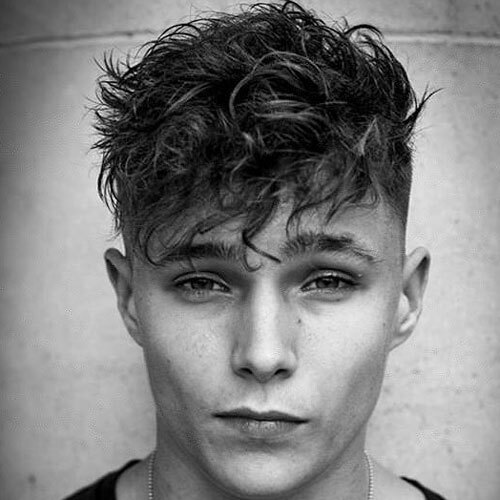 You have plainly encountered an abundance of guys with the brush-up hairstyle; it is undoubtedly ubiquitous. 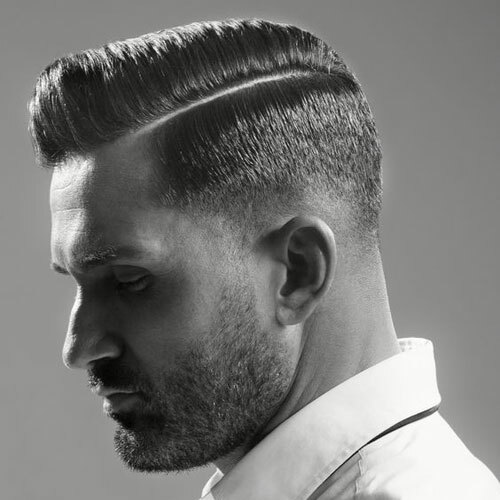 The far-from-vintage hairstyle comes across as brushed straight up. 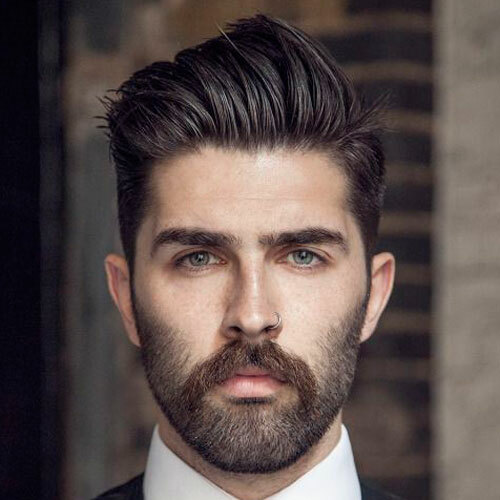 Like Faux Hawk and Pompadour, you should keep two fading sides and at least keep them cropped to italicize the top and render it peculiar. 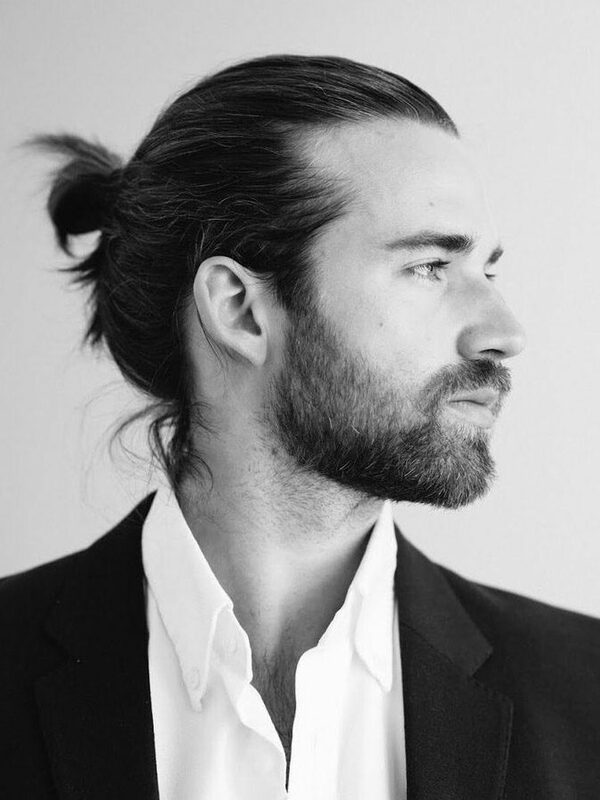 Unlike all the aforementioned haircuts, the Man Bun does not demand cutting your precious locks. 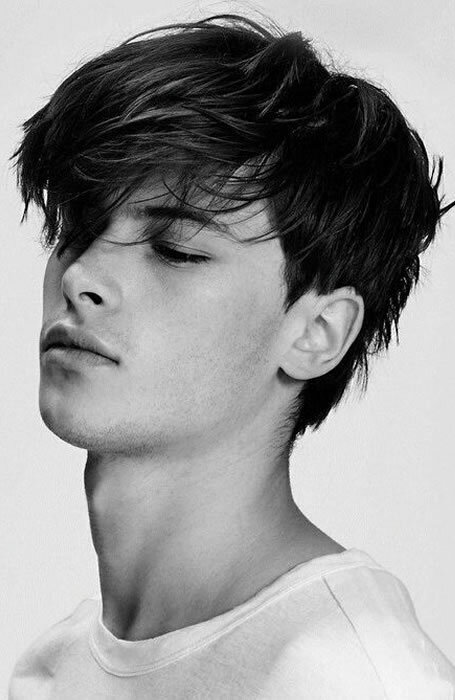 There are some men who would not give up on their hair and only love to let it down and rejoice in seeing it flowing by the breeze. It takes around six months to reach the coveted hair length. All you have to do is to comb your hair and sweep it from the forehead and the nape till your locks meet at the one point, crown, then knot it. 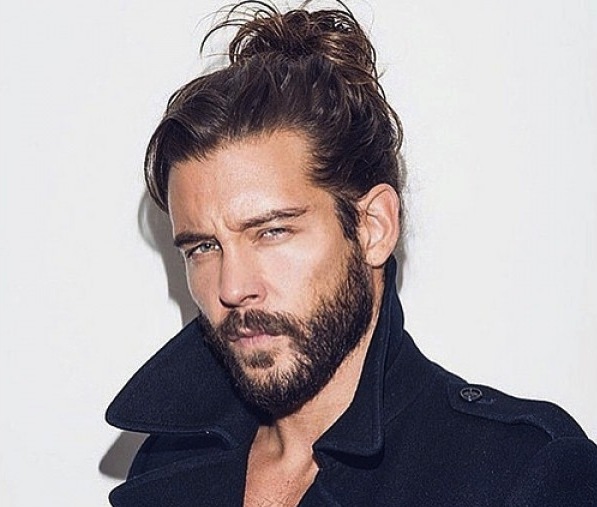 We do believe that Man Bun can be worn in offices and suits white-collar as well as blue collar jobs. 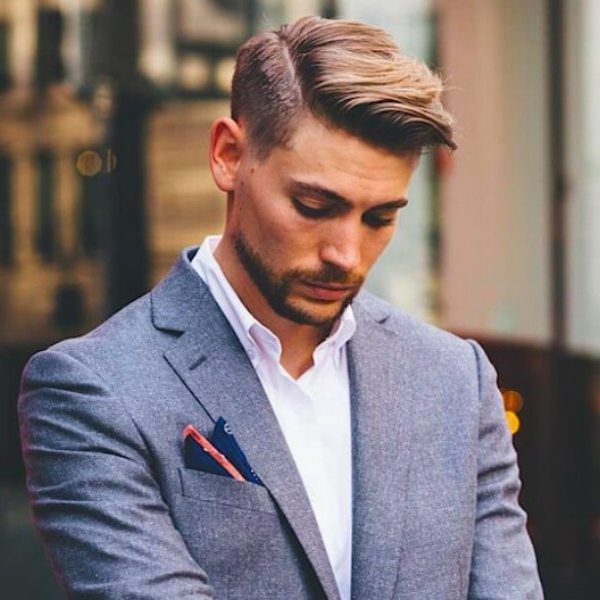 The Comb Over stood the test of time and has buttoned itself down in the men’s world of fashion, witnessing versatile hairstyles come and go, but it has pronounced timeless alongside the Side Part haircut. 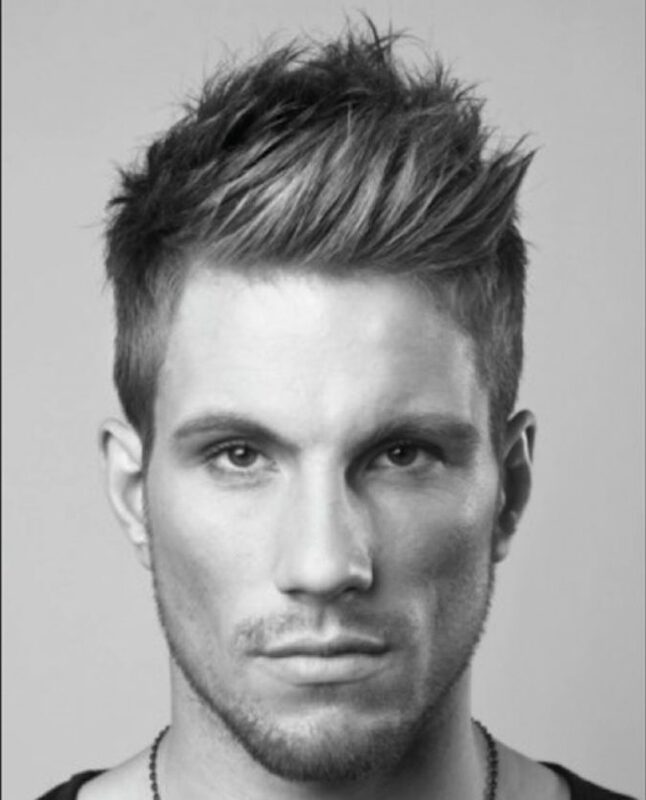 The Comb Over is defined as the hairstyle that intensifies the stress on the top, then the top can be swept to one side. The Comb Over is worn to show the volume of the hair on top. 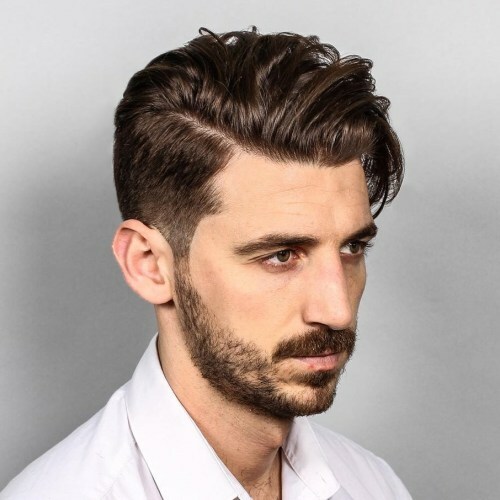 The Comb Over can be worn in versatile styles and forms; you can wear with two fading sides and temples and you can also blend with the Side Parts. 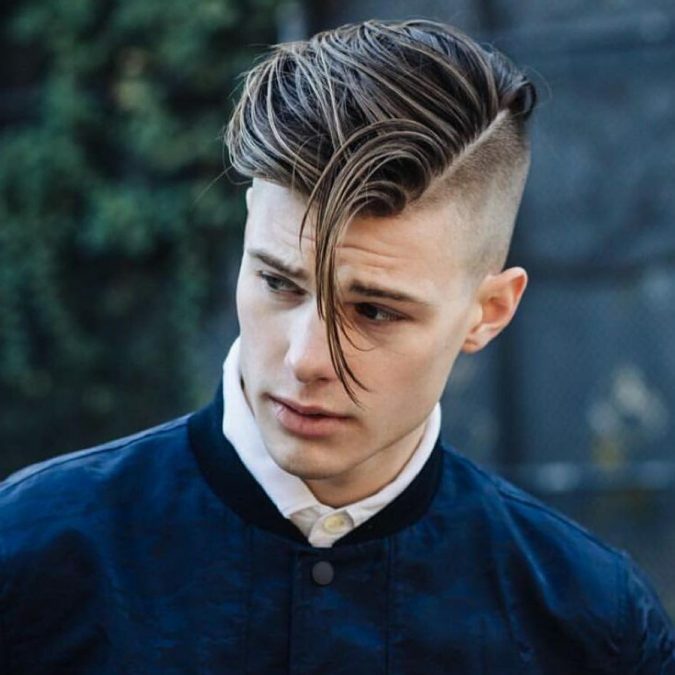 The hairstyle is nailed by Justin Timberlake, Leonardo DiCaprio and Ryan Gosling. 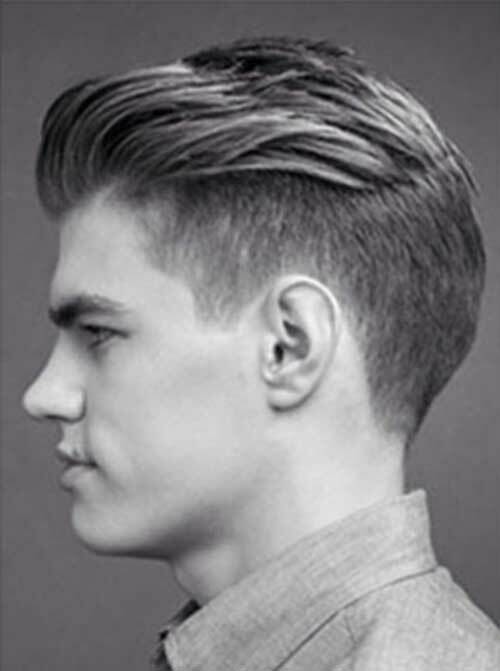 The Swept Back hairstyle always gives these vibes of the Renaissance era or make you come across as a Prince Charming from a Disney tale. All you have to do is to let your locks go longer for around 6 or 10 months and take care of your hair with high-quality shampoo and conditioner. Sometimes the haircut is perceived as a lazy one. However, it demands much care so the hair can look healthy and far from frizzy. Harry Styles and Shia LaBeouf are two the celebrities who undoubtedly nailed such haircut and looked neat. 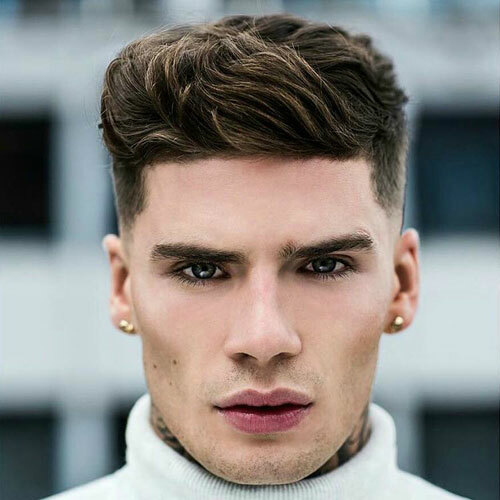 In a nutshell, classic styles, a longer top and fading sides, swept back hair are the best choices for men with oval faces. The least you can go for is the fringes or the bangs as they sometimes render their face round rather than oval. However, we have seen an abundance of men who nailed the fringe and looked gorgeous with them. 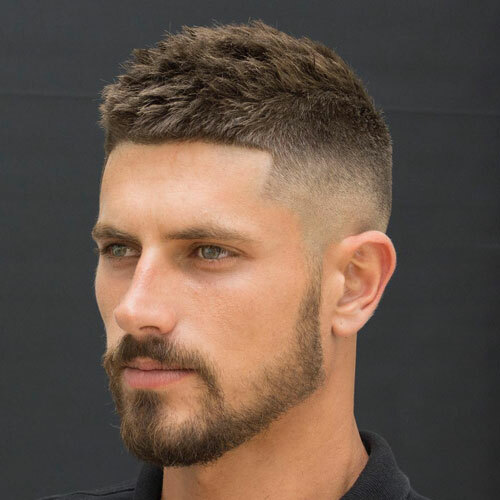 Tell us about your favourite haircut in the comment section down below.